Arielle has always been a bit different, she can read the minds of some people. Aside from that, she has searched, never really dating all that much, looking for a pure and true love, one that resembles that in her favorite novel. Sebastian is far from normal and he knows it, but he has spent his entire life looking for the one person he can truly love. While Arielle is on vacation, Sebastian spots her and knows that she is the one, but it takes him almost two months to work up the courage to talk to her. Now he can't imagine life without her, but there is only one problem. Arielle is a human and Sebastian is immortal. How will Arielle take the news, and how will Sebastian keep her safe from another immortal that has vowed to destroy all he loves? Lilian Roberts gives us a new and different paranormal story; no vampires but immortals, and blends it with a deep and immediate love story. 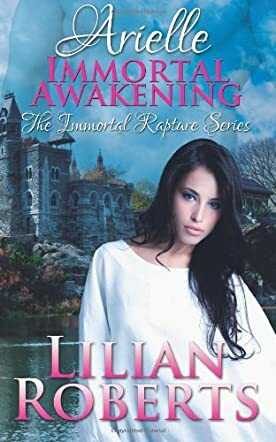 Arielle Immortal Awakening is the first book in a series that will follow Arielle and Sebastian to hopefully answer the questions. Arielle Immortal Awakening is scheduled to be the first book in a series, and be forewarned, it does end on a bit of a teaser which will have you waiting impatiently for the next book. The idea of immortals has been around in stories with the vampires and other paranormal creatures, but there was always a price to their immortality and with vampires it was blood. That is not the case here, but yet there is a deep and quick love that develops. This results in trust questions only because of the speed in which they fall for each other. Lilian Roberts has done a wonderful job in giving the reader a new look into the paranormal romance genre and this is definitely a book for those who are looking for a heart-stopping romance. Although it is a romance, it could actually be read by young adults as well as adults.